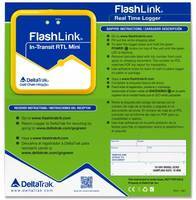 Pleasanton, Calif., January 31, 2019 -- DeltaTrak® will be featuring the next generation FlashLink Real-Time Mini Loggers at Fruit Logistica 2019, Hall 23 / A-17, from February 6 to 8, 2019, at the Berlin ExpoCenter City, Berlin, Germany. DeltaTrak® is a leading innovator of cold chain management, environmental monitoring and food safety solutions for the food, produce, life science, and chemical industries. Contact DeltaTrak® by phone at 1-800-962-6776 or by email at marketing@deltatrak.com. Additional information can be found at www.deltatrak.com.